In keeping with our somewhat pumpkin fall theme, I have some wonderful biscotti to tell you about. 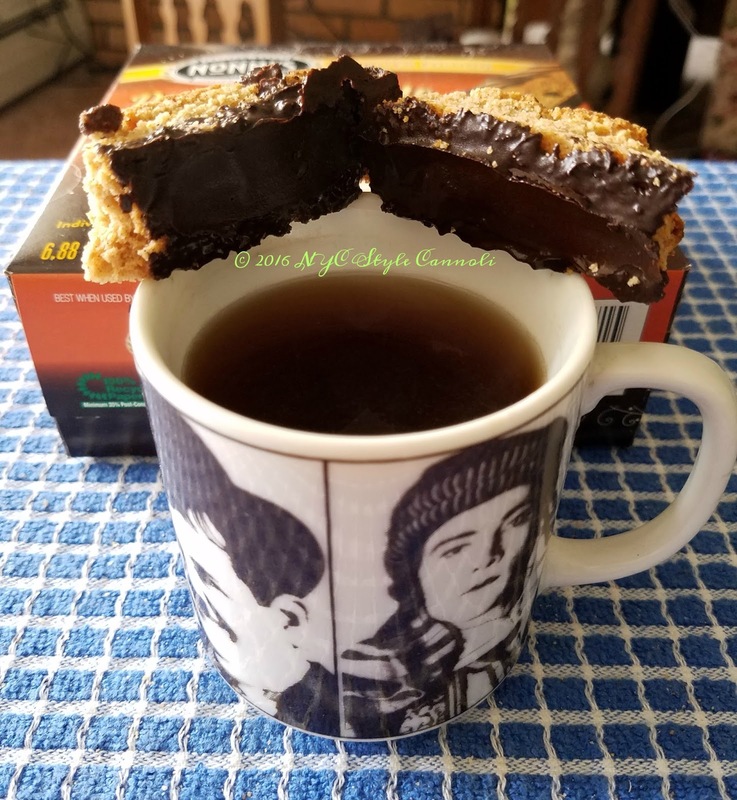 I was contacted by Nonni's to sample some of their newer flavors, and so darn happy to do so! 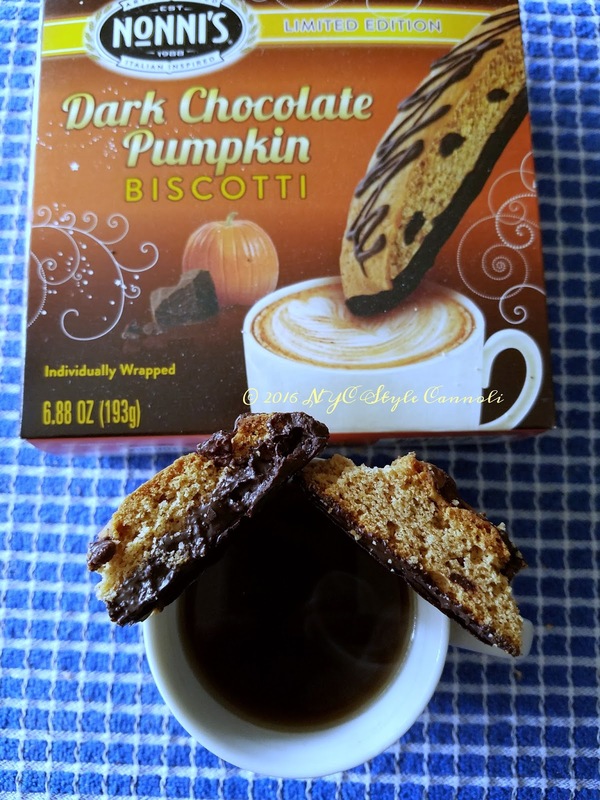 I have tried their biscotti many times, and it was even a favorite of my Mom's. When an Italian person loves a biscotti, you know it has to be good, because we make our own! 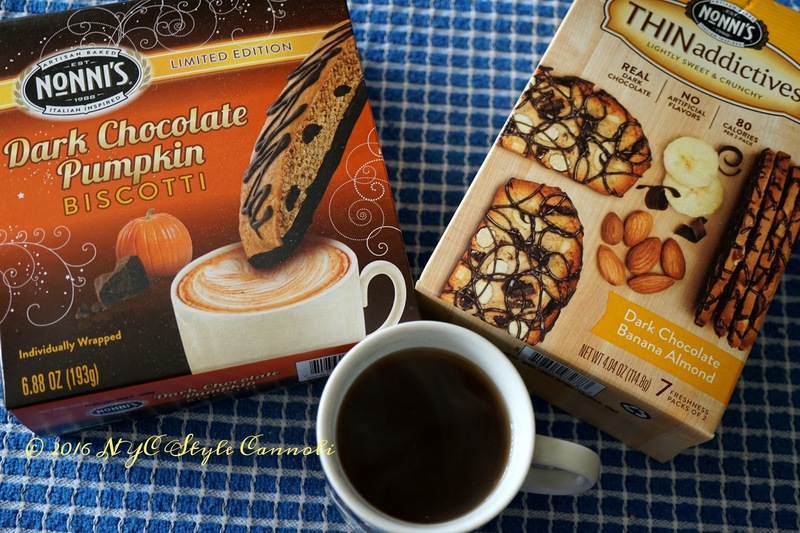 Their new flavor for fall is pumpkin with dark chocolate, and it is amazing! So much flavor in the pumpkin and the dark chocolate is just the right hint of sweetness. Biscotti are really not that sweet, so something like this really makes them extra special. These are also a softer biscotti, you do not have to dunk them in your hot beverage, but they are quite yummy if you do. I hate the really hard biscotti that can break the teeth, because sometimes I like to eat them without dunking. This wonderful mug belonged to my Aunt and Uncle, my Uncle always felt he looked like Rudolph Valentino, so he bought this for that reason! A lovely vintage piece I just treasure. The THINaddictives are really special. 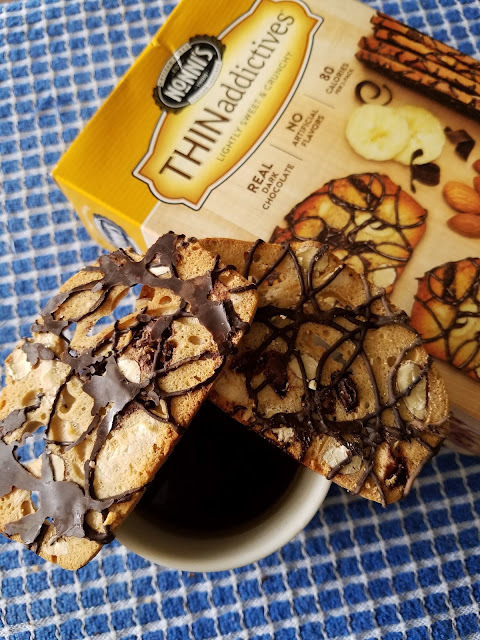 For those counting calories, or that just want a healthier snack, these are perfect. Only 80 calories for 2 in a package, fabulous for a snack at work or in the evening with a hot beverage. This is my first time trying these, and I will be getting more in the future! Banana and dark chocolate are the PERFECT combo! So so yummy!! 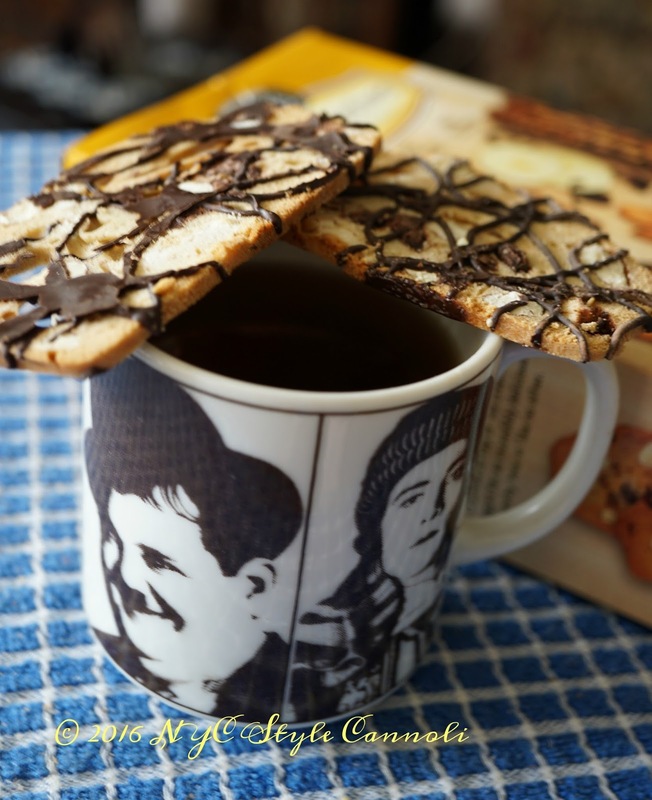 Have you ever tried any of the Nonni's products? What are your favorites? I personally do not think anything from this company can be bad. It just isn't possible! Disclosure: I was provided one box of each item from Nonni's for this review. There has been no monetary compensation for this post. I only recommend products that I feel will be of interest to my readers, and that I am truly impressed by. All opinions are my own. Thank you! !